Eastern Europe is home to some of the most spectacular landscapes. For driving enthusiasts, the combination of these landscapes and exciting motorways make it an ideal setting for scenic trips where you can drive you your heart's content. 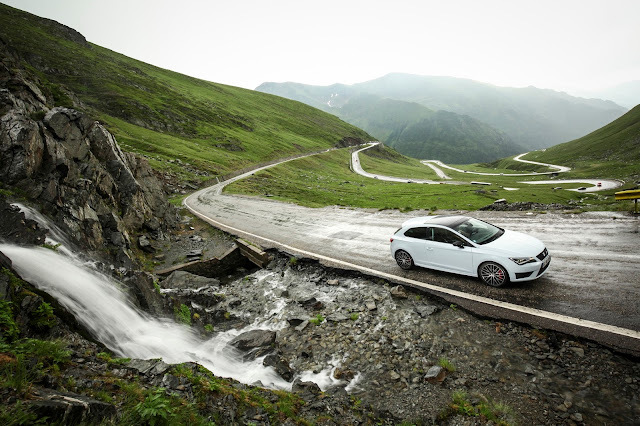 In conjunction with SEAT, we've put together a shortlist of recommendations for the ideal driving experience in eastern Europe. The Transfagarasan motorway is located in northern Romania. Extending a length of 90 kilometres, it meanders through the rugged hills of the Carpathian mountains. Besides its wonderful landscape, along the route is Castle Poenari, home to the prince that inspired Bram Stoker’s novel Dracula. From the Serbian capital, Belgrade, the E70 motorway heads north through the Province of Vojvodina, which is famous for being the country’s most important wine region. Among vineyards and rolling hills, the motorway continues on to the Fruska Gora national park, with more than 16 medieval monasteries tucked in the mountains. The Stolowe Mountains National Park in Poland’s Klodzko county is one of 23 in the country. It features several routes to combine driving and hiking through the gorges and ravines found in the Table Mountains – a 42 km long mountain range in Poland and the Czech Republic. Located in the foothills of the Julian Alps in Slovenia, travellers will find the town of Bled, with a population of a few more than 5,000 people. The major attraction of this part of Eastern Europe is the town’s eponymous lake, where visitors can make a stop on their journey and take a swim. When travelling through Hungary, particular mention goes to its capital, Budapest. In the city, visitors can cross the Chain Bridge, which is the oldest across the Danube in Hungary and links the two sides, Buda and Pest.